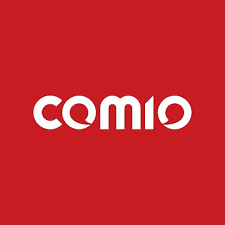 Is Comio Mobile just in for a cameo? We bet, No! With no updates to the Surface Book or Surface Pro line-up during 2016, many Microsoft watchers are looking at the annual spring event from Redmond to include an announcement of new Surface hardware. While a second-generation Surface Book is unlikely, an update to the ultraportable/tablet hybrid Surface Pro family is expected. Although Microsoft’s primary focus remains on software - both at the operating system level on the desktop and across competing platforms via its cloud services - it will continue to show off the capabilities and vision through its Surface hardware division. That said, Microsoft finds itself in the same situation as Apple with the MacBook Pro - there’s nothing fundamentally new out there for the next generation of devices.The latest rumors point to a Surface Pro 5 that will ship with Kaby Lake, Intel’s latest chip design for the desktop and the seventh generation of its Core processor family. That detail has been confirmed by Microsoft-watcher Paul Thurrott, who also noted that his sources indicated that the Surface Pro 5 will retain the current power connector found on the Pro 4 and the Surface Book, as opposed to switching to USB-C.
That gives the Pro 5 some advanced hardware, but retains as much backwards capacity as possible. Of course it’s not just the hardware that Microsoft is promoting, but also its vision of modern computing and how it defines specific categories for its manufacturing partners. 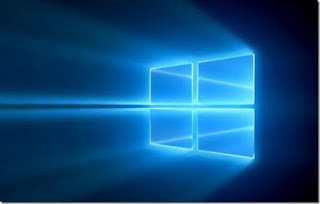 The upgraded version of Windows, Windows 10 which has made a place in the market as we have seen that users have started liking the changes that are made to improve Windows by bringing the Start Menu and Cortana. 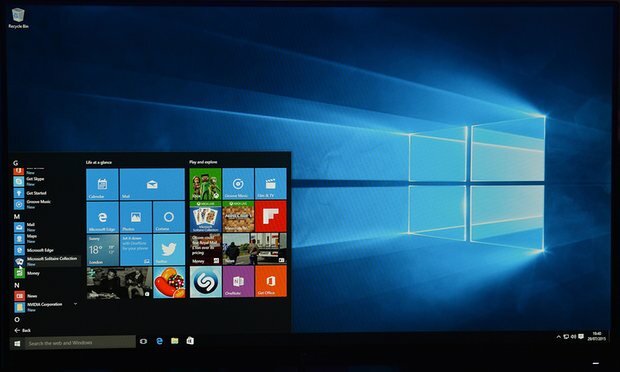 By using the following tricks you can make use of Windows 10 in a better way. Start menu in Windows 10takes a bit of time to search the contents on a computer and is a new addition. You can also resize the Start menu and place it at a small corner of the screen or even as large as the entire desktop.You just need to use the drag option. Windows 10 provides you the ability to use a number of desktops at the same time. It lets you organize your space inspite of a large number of applications running. In order to set up a virtual desktop, you just need to tap the small icon or rather just press Windows key + Tab on the Cortana search bar,this brings out all the open windows. There is an option present namely “+ New Desktop”. ALT + TAB–You need to hold which shows a new Task view window view, let it go and switches to the application. Cortana is referred to as Microsoft’s assistant who looks out for your voice, by this you be quick enough to search anything. 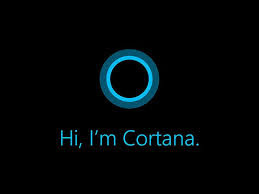 As per the default settings, it responds to anyone who shouts “Hey Cortana”. In order to use this feature you need to click the Cortana box, go to the settings and change the “Respond Best To Me”. After this Cortana attempts to memorize your voice. They provide you with six number of phrases which you need to repeat.Once you are done with it, although this might take several attempts, you can make use of this personal assistant for yourself and your own purpose. This helps you to get rid of desktop and allows the start menu to take the center stage.In order to access this mode, Tap on the “notification” icon which looks similar to the message and is present on the taskbar.You can also swipe in from the right side in case someone uses a touchscreen and bring up the action center. Click on the “Tablet Mode” and repeat it again in order to exit.If you want this mode to be permanent then you can go to the System settings to make this change. Go to the Windows Start Menu and select Settings. There is a table mode option on selecting it you get a drop down option from where you have to choose “When I sign in”.Here you can switch to tablet mode or desktop mode. Having Hard Drive Space-After updating the Windows to Windows 10, a part of the disk space is required to keep all the old system information, if at any moment you have to revert back. But, if you want you can have around 20 GB back just by removing old files. With the help of third-party application, you can change your Login Screen Background or the color or picture of the background. There is a feature of a lock screen if you are using the tablet mode but is an unnecessary feature.But there is no way to remove it. Windows 10 provides you the feature to create and restore a full backup of files. It is a built-in “system image” utility. It also has the facility of OneDrive for cloud storage service. OneDrive has an Android App too so that you can access data through mobile. Apart from that many Android Tutorials are present online to train you on how to use those apps. All the connected device can easily share their data over OneDrive. 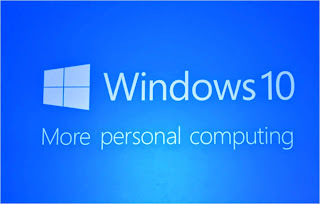 Windows Update Delivery Optimization serves in a similar way as apeer-to-peer network which is used by torrent sites. In order to disable this, you need to go to the Windows start menu and then go to the settings, then click on the Update and Securit and then click on the Advanced options.After this chose the option “Choose how updates are delivered”.You also need to keep a check on whether the updates from Microsoft are reached using computers on the local network.This helps you push Windows updates to other system or PCs present in your home avoiding downloading of updates for multiple times. In case you are not satisfied with the features of Windows 10 and want to get back to the older version of Windows, it is not so difficult.All you have to do is to go to the Windows Start menu and click on the option “Update and Security.Then Select Recovery which gives you the option “Go Back to Windows 7 or 8.1”, depending upon the last version you were using on your system. 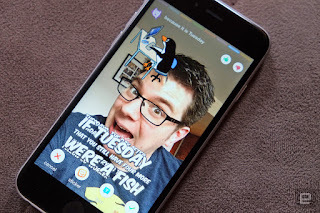 Microsoft is trying hard to get into mainstream consumer mind and their latest effort is trying to fight with Snapchat to get some consumers. Basis a report in Fortune, The technology giant debuted Tuesday a new mobile app that lets people take pictures of themselves and add silly captions or graphics to the pictures, similar to the popular photo app Snapchat. The new Sprinkles app is currently only available for iPhone users, and Microsoft did not say when it would debut for Android or Windows-powered smartphones. What makes Sprinkles different from Snapchat is that the app uses Microsoft’s various artificial intelligence technologies to automatically generate captions based on the photos and suggest goofy graphics like emoji to adorn people’s selfies. Would you try and use this app? share your view sin comments box below. Microsoft is expected talk more about its next Xbox, also known as Project Scorpio, this Thursday, according to video game news website Eurogamer. The indie gaming news site revealed the announcement on Tuesday in a Tweet, noting its Digital Foundry news division would publish details on the new gaming machine. Although Eurogamer and Digital Foundry did not say what Project Scorpio details they would publish, tech news website Windows Central said that the report would likely focus on the gaming console’s technical specifications. Windows Central first reported that Microsoft would provide more details of its new gaming console and briefed a media outlet on the announcement. Microsoft (MSFT, +0.27%) first revealed its new Xbox console last summer during the annual Electronic Entertainment Expo, or E3, in Los Angeles. Project Scorpio is the codename of the gaming machine and “will be the next edition of the Xbox One family,” Microsoft’s head of the Microsoft's Xbox gaming division Phil Spencer said at the time. Spencer said the new Xbox would be the most powerful gaming console on the market, support virtual reality technology, and be available by the 2017 holiday season. Both Microsoft and Sony debuted their Xbox One and PlayStation 4 gaming consoles in November 2013. In November 2016, Sony released its PlayStation 4 Pro console that’s more powerful than the standard PlayStation 4 console and supports 4K graphics, which requires a 4K television to see all of the visual improvements. What are your thoughts on the upcoming XBOX? What could hold for you? Samsung Galaxy S8, S8+ Microsoft Edition: What to Expect from it? Windows enthusiasts might be able to lay hands on Microsoft edition of the new Samsung Galaxy S8 and Galaxy S8+. It might sound crazy, but Microsoft is accepting pre-orders of the Samsung Galaxy S8 and Galaxy S8+ even as Windows phones are not getting anywhere in the smartphones business. Some reports suggest that Microsoft will customise Samsung Galaxy S8 and Galaxy S8+ and these devices will come preloaded with Microsoft apps like Cortana, Outlook, Office, Skype and OneDrive amongst others. A Microsoft spokesperson was quoted as confirming that both Samsung Galaxy S8 and Galaxy S8+ will be customised by the company. Samsung Galaxy S8 and Galaxy S8+ devices, customised by Microsoft will be available for purchase starting April 21 at Microsoft Store location in the United States. This customisation ensures customers a best-in-class productivity experience with Microsoft applications such as Office, OneDrive, Cortana, Outlook and more, the report adds. Samsung Galaxy S8 and Galaxy S8+ were unveiled at Unpacked 2017 event in New York City on March 29. The much-awaited flagships from Samsung are here and the major highlight of the Galaxy S8 and Galaxy S8+ is the Infinity Display and almost bezel-less design. Samsung has also debuted its voice-powered personal assistant - Bixby on Galaxy S8 and Galaxy S8+. The Samsung Galaxy S8 features a 5.8-inch QHD (1440x2960 pixels) Super AMOLED display and the Galaxy S8+ sports a 6.2-inch QHD (1440x2960 pixels) Super AMOLED display. The all-new Qualcomm Snapdragon 835 SoC has been incorporated in the new flagship smartphones for the American market. Several other regions, including India, will get the Exynos 8895 SoC powered Galaxy S8 and Galaxy S8+. Microsoft will sell Samsung's newest Android-powered phones, the Galaxy S8 and S8+, in its brick-and-mortar stores next month. The phones can be pre-ordered now at Microsoft's retail outlets -- but not online -- and will also be available for purchase in the stores beginning April 21, Samsung's release date for the new, larger models. Microsoft's prices will be the same as Samsung's: $750 for the Galaxy S8, $850 for the S8+. But the Galaxy S8 and S8+ phones sold by Microsoft will not be identical to those offered elsewhere. "A Microsoft customization is applied when the devices are unboxed and connected to Wi-Fi," a Microsoft spokeswoman said in an emailed statement. "This customization ensures customers a best-in-class productivity experience with Microsoft applications such as Office, OneDrive, Cortana, Outlook and more." Microsoft has worked hard to craft Android versions of its productivity apps since it spun its mobile strategy away from building and selling Windows-powered smartphones. The company couched the Galaxy sales as part of that theme. "The new device customization is an example of bringing together Microsoft applications on more devices so customers can work, play and connect from their pockets," the spokeswoman added. "I think it's a pretty smart move," said Jack Gold, principal analyst at J. Gold Associates. "Samsung is probably the No. 1 enterprise supplier of Android smartphones today. And they're configuring the phone to make sure their products are on it." Gold's point? "This is a preemptive strike against Google," he said. Microsoft has always been most interested in its commercial customers, those who contribute the majority of the company's revenues. Gold emphasized that those thoughts remained uppermost at Redmond. "Microsoft has two plays in the enterprise, the traditional, where Exchange is the back-end, and then the cloud," he said, talking of mobile. "Microsoft's asking, 'Can I keep them from saying "I can switch to Google,"' when they go to the cloud? So, this is a stake in the ground, Microsoft saying, 'Try our stuff, you'll like it.'" 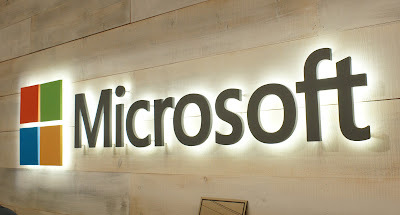 Although Gold expects Microsoft to try to sell company app-equipped phones to enterprises in other ways, perhaps by making deals with carriers, which are the usual sellers of smartphones to corporate customers buying in bulk, he is also upbeat about Microsoft's immediate plans. "In big companies, remember, 30% to 40% of smartphones are BYOD," Gold said of the "bring your own device" model where businesses support employee-owned phones, tablets and notebooks in the office. Microsoft's Samsung deal has been low profile; rather than issue a press release or even publish a post on one of its countless blogs, the company issued a statement. Likewise, the Galaxy S8 and S8+ will be sold, at least initially, through Microsoft's limited number of retail stores only. Gold thought he had an answer for why Microsoft chose that sales approach. "From Microsoft's point of view, they don't want to make it too public because that just encourages people to say, 'See, Microsoft can't sell their own phones, so they're selling Android,'" Gold said. "It's a balancing act for them." And it's back! 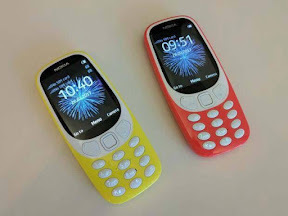 The Nokia 3310, Who's your daddy now? Does It Breaks The Record Of its old Nokia 3310 ???? Following the Insider email we recieved from Microsoft a fday before, there are some interesting features Microsoft wants all insiders to know and try. We recently released one of the largest set of new Windows 10 Insider Preview* features since our Anniversary Update. It’s packed with updates for every Insider, whether you’re a creator, developer, IT Pro — or simply love Windows and want even more cool tools. One-step import of data to Microsoft Edge. Import your favorites, browsing history, saved passwords, and other data to Edge from another browser you have installed — all in one simple step. Preview your browser tabs. It’s easy to lose track of what’s in your browser tabs, especially when you have many tabs from the same site, with similar titles and icons. Tab preview bar in Edge gives you a visual preview of every tab without leaving your page. More control of multiple tabs. Click once to set all your tabs aside if you want to start from a clean slate. Then click again to bring them all back. Easy! Group your tiles. Got too many tiles on your Start screen? Simply drag and drop a tile on top of another tile to create a folder for multiple tiles. Improve your PC performance. If your PC is running slowly, the Refresh Windows option in Windows Defender may help. It starts fresh by reinstalling and updating Windows, which will remove most of your apps but keep your personal files and some Windows settings. For more details, see this forum post. Do even more with Cortana. ** Set recurring time-based Cortana Reminders for “Every Month” or “Every Year” — great for bill payment or anniversary reminders! (Another clever suggestion from Insiders.) And another cool Cortana feature: Cortana can display links in the Action Center to websites or cloud-based documents that you opened on one PC — so you can pick up where you left off on another PC. Join our February Bug Bash. We kick off our next Windows 10 Bug Bash this week and we are excited to hear from Insiders around the world, especially those who speak other languages besides English. As with previous Bug Bashes, you can use Quests within Feedback Hub to direct you to new capabilities. The first set of Quests for the February Bug Bash are available in the Feedback Hub. (Note that you’ll need a Preview build with the Feedback Hub to open this link. ***) Stay tuned to announcements and Quests in the Feedback Hub throughout the week. And tune into our live webcasts (starting Feb 7, 2-4PM PDT) to get more details on Quests directly from our Windows engineers. Windows Developer Day: Creators Update. Register to join our livestreamed event on February 8, 2017, to see what’s new for developers in the Windows 10 Creators Update. Whether you’re building for the web or UWP, the latest consumer app or line-of-business tool, there’s something in it for you. Join Kevin Gallo and the Windows engineering team as they cover what’s new with Windows developer tooling and the latest XAML advancements. You’ll also hear the developer story behind the recent announcements of Cortana skills and the new Windows mixed reality headsets. And remember to bring your questions for our live, online Q&A panel. 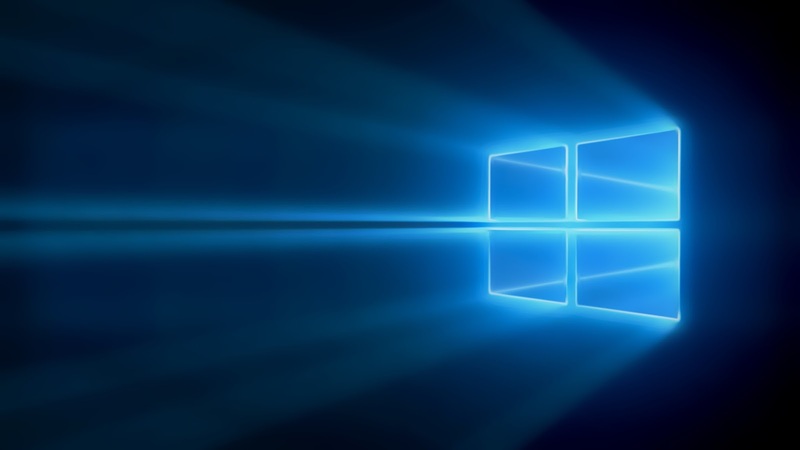 Extend Windows 10 security investments to non-UEFI devices. 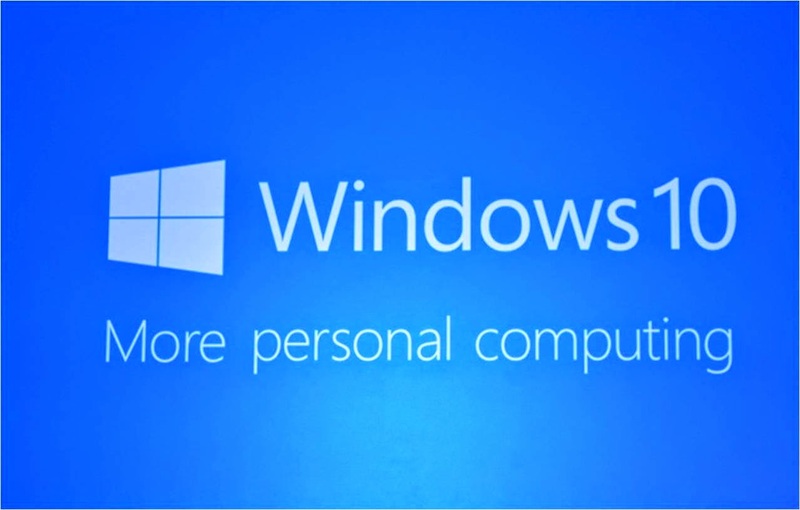 Many new Windows 10 security features require UEFI-enabled devices. With the Creators Update, we will introduce a simple, in-place UEFI conversion tool that automates conversion of devices to UEFI! Quick guide to Windows as a service. Not sure what Windows as a service is? Start by checking out this 5-minute video demo. Then review this quick guide to the most important concepts and delve into detailed guidance to help you manage Windows 10 updates in your organization. Search Windows 10-ready apps. Check out our Ready for Windows website for a listing of over 10,000 apps compatible with Windows 10. And if you’re a developer or ISV, find out how to list your Windows 10 software solutions for even better visibility. Step-by-step guide to deploying Windows 10. Assess compatibility, explore deployment options, download the latest tools, and learn how to manage and secure devices. Visit the new Windows 10 IT Center and get your deployment project on track. FastTrack now available for Windows 10. FastTrack includes access to a qualified partner to help you create a detailed technical implementation and user adoption plan. You may also be eligible for special offers, including Windows Accelerate engagements to drive large scale deployments. Click here for more FastTrack details. How Microsoft uses Windows Defender ATP. Learn how Windows Defender ATP helps alert Microsoft’s IT security team to malicious activity faster and more precisely than ever before. Check out the case study. Dropping the Hammer on Malware with Windows 10 Device Guard. Watch this Virtual Academy video to see how Windows 10 Device Guard can fundamentally change the game for enterprise security. You can follow the lead for the Windows Insiders Program, Dona Sarkar, on Twitter @donasarkar. For other updates on the program, including special events and activities, follow us on Twitter @windowsinsider. Thanks, as always, for being a Windows Insider! Share your thought on this email, and let us know what all features you already knew for your Desktop or Mobile. Yes indeed that's a sad news and all Windows Mobile fans or enthusiast see this as a sign of disappointment. What worse than this that Microsoft own Minecraft game is no longer supported on its own Windows 10 Platform on Mobile Devices. Microsoft will cease updating Minecraft Pocket Edition for its own Windows Phone 8.1 and Windows 10 Mobile, reports Windows Central. Although the game will continue to be available in the store, it's apparently no longer being maintained or updated. The reason for this move is reported to be that so few people play the game on the platform that it's not worth maintaining. Minecraft has a somewhat complicated development history. There are multiple versions of the block-building zombie fighting game developed in parallel. The original Minecraft, built for PCs and with a rich ecosystem of third-party extensions, is a Java application. Console versions of Minecraft appear to use a C++ port of the Java version, with a console controller-friendly interface. Minecraft Pocket Editionis a C++ application with a user interface that's tailored for smartphones. Multiplayer is generally limited to the same stream of development; Pocket Edition players on different platforms can play with each other, but Java edition players can only play with other Java edition players, and the console editions only allow multiplayer with other people on the same console. The Windows Phone/Windows Mobile version of Minecraft was Pocket Edition, and this version remains supported on Android and iOS. 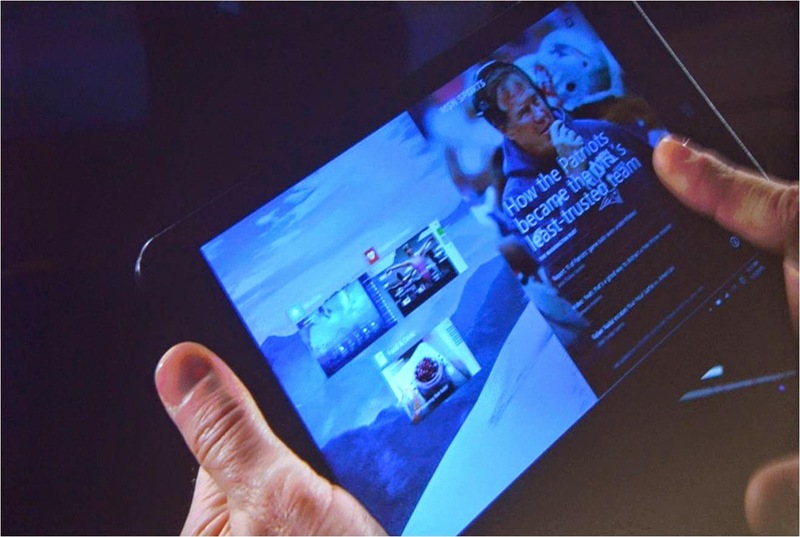 Pocket Edition is also the basis for versions of Amazon's Fire OS and Fire TV, Samsung's Gear VR, and the Apple TV. Pocket Edition is still relatively new: after a lengthy alpha/beta period, it only hit version 1.0 on December 19, 2016. 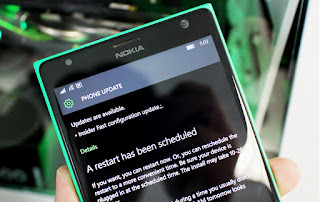 Although Microsoft released multiple beta versions for Windows Phone, including the final beta version 0.16.2 on November 18, 2016, the platform hasn't had a version 1.0 release. It's stuck on the final beta. The company has, however, released version 1.0 of Minecraft for Windows 10. Minecraft for Windows 10 is based on Pocket Edition, but with a desktop user interface. It's built for Microsoft's Universal Windows Platform (UWP) and sold exclusively through the Windows Store, but as it's still based on Pocket Edition, it supports multiplayer with the smartphone versions. This makes the situation look rather awkward for Microsoft. Since the release of Windows 8, Microsoft has been encouraging third-party developers to build applications for UWP (and its Windows 8-era precursor, WinRT). The "universal" part of UWP is that UWP applications can run on desktop Windows, Windows Mobile, Xbox One, HoloLens, and even the Surface Hub. The goal of UWP is for the majority of an application's code to be common across all form factors, with a user interface tailored to each specific type of device. But while this approach of having one application that spans multiple form factors is still the officially preferred route for third-party developers—and, to be fair, a good amount of first-party development; built-in Windows applications like Mail, Maps, and Calendar, as well as separate apps like Office Mobile, are all UWP apps that run on both mobile and desktop systems—it's not the route that the company has elected to follow for Minecraft. Minecraft for Windows 10 is a UWP app, but rather than give that UWP app an adaptive user interface that works equally well on all UWP platforms, Microsoft has kept it strictly desktop-only. It won't run on Windows 10 Mobile. Update: a previous version of this article said that the Phone app was also a UWP app, but of course it cannot be, as it runs on Windows Phone 8.1. C++ app development on Windows Phone 8.1 has a lot of overlap with WinRT and UWP, but the platforms are not identical. 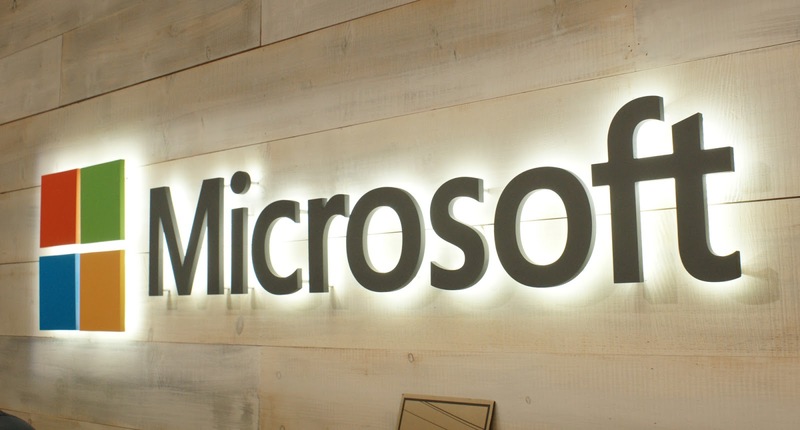 Eventually, one imagines that Microsoft will bring back support for its mobile platform. Windows 10 Mobile and Windows 10 development is continuing to converge—Windows 10 for ARM may well end up on phone-like devices and larger systems—and Minecraft for Windows 10 will start supporting more form factors, with Microsoft promising a HoloLens version of the game. As Windows narrows and Minecraft for Windows 10 becomes broader, one can imagine that a mobile interface will be added to the Windows 10 version. Microsoft's tendency to offer better support for non-Windows systems is continuing to annoy ever shrinking Windows fanbase, and the self failure to capitalize on the acclaimed UWP apps leads developers to wonder, "If Microsoft isn't consistently writing universal apps, why should we?" Do share your comments in section below. We would take your feedback to Microsoft to get this addressed.